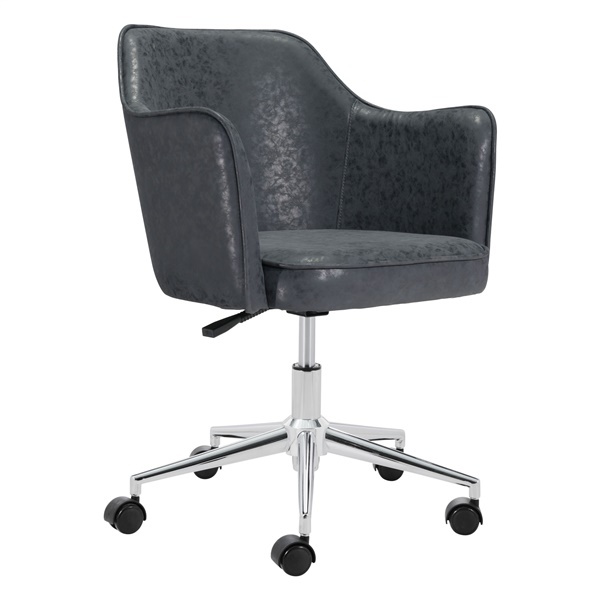 The Keen Office Chair by Zuo is gorgeously wrapped in vintage black leatherette over plush padding to ensure comfort for extended periods of use. Conveniently adjustable in height and featuring a swivel function, this chair is supported by a chrome base with rolling castors. It's modern design will fit seamlessly into your existing decor whether it be in your home or office space.